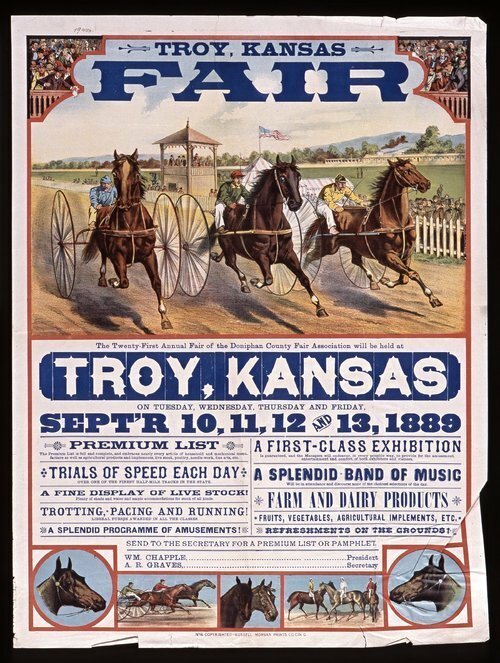 This poster advertises an agricultural fair at Troy, Kansas, sponsored by the Doniphan County Fair Association. The events include horse racing and a horse show, exhibitions of livestock and farm products, a band of music, and other amusements. Various illustrations show horses and sulky racing.